Plated yellow gold and stainless steel case and bracelet. Displays Date at 3 o'clock. 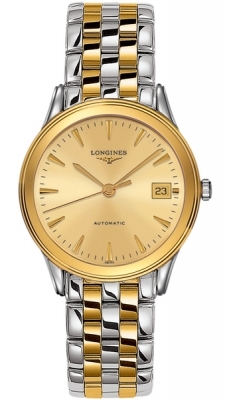 Longines Caliber L619, beats at 28,800 vph, contains 21 Jewels & has an approximate power reserve of 42 hours.